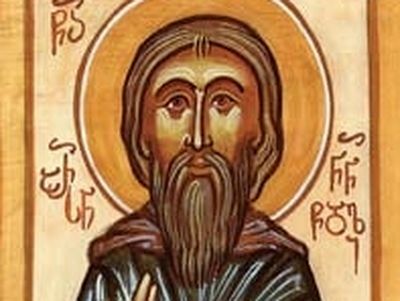 Saint Tsotne Dadiani, a virtuous military leader and the prince of Egrisi, lived in the middle of the 13th century. During that time Georgia languished under the yoke of Mongol oppression. After the death of Queen Rusudan, the Mongols began to exact exorbitant fees from the Georgian princes, and they established compulsory military service for their Georgian subjects. The situation became unbearable, and the Georgian nobility planned a massive rebellion against the invaders. Having assembled at the peak of Mt. Kokhta (in the Meskheti region of southern Georgia), rulers from all over Georgia agreed to assemble the troops in Kartli and attack on a single front. Tsotne Dadiani and the ruler of Racha were the first to muster their armies. But there were traitors among them, and the Mongols learned of the conspiracy. They surrounded Mt. Kokhta, arrested the rebels — save for Tsotne Dadiani and the ruler of Racha — and led them away to the Mongol ruler at Anis-Shirakavan. The prisoners denied every accusation and asserted that the purpose of the gathering on Mt. Kokhta was to collect the tribute that the Mongol authorities had demanded. Infuriated at their insurgency, the Mongols stripped them bare, bound their hands and feet, smeared them with honey, threw them under the scorching sun, and interrogated them daily about the gathering on Mt. Kokhta. Having heard what had transpired, Tsotne Dadiani became deeply distressed and took upon himself the blame for this tragic turn of events. Escorted by two servants, he journeyed voluntarily to Anis to lay down his life and suffer together with his brothers. Arriving in Anis and seeing his kinsmen doomed to death, the prince promptly undressed, tied himself up, and lay down next to them under the scorching sun. The disbelieving Mongols informed their ruler about the strange man who had willingly lain down beside those who were condemned. The ruler summoned him and demanded an explanation. “We gathered with a single goal—to collect the tribute and fulfill your command. If it was for this that my countrymen were punished, I also desire to share in their lot!” answered the courageous prince. Tsotne’s chivalrous deed made a dramatic impression on the Mongols, and every one of the prisoners was set free. Tsotne Dadiani is not mentioned in accounts of the next conspiracy against the Mongols, in the year 1259. Historians believe that he had already reposed by that time. 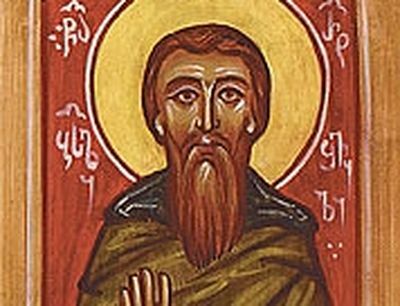 The virtues of St. Tsotne Dadiani are known to all throughout Georgia. 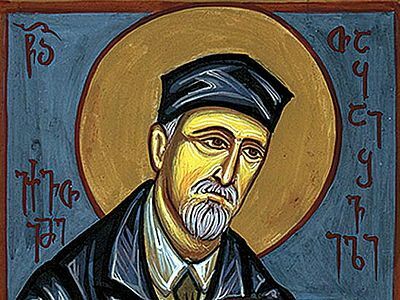 His heroism and integrity are an example of faith, love and devotion to every generation, and the faithful of every era have honored his holy name. 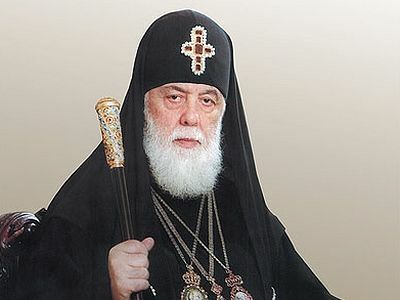 Tsotne Dadiani was numbered among the saints on October 26, 1999, according to a decree of the Holy Synod of the Georgian Orthodox Church. Thou didst lay down thy life and confess the Lord’s commandment, being made perfect by the Lord. 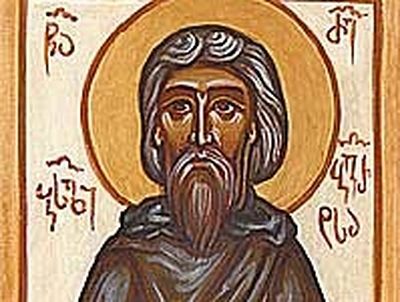 O good Saint Tsotne Dadiani, pray to God for us! 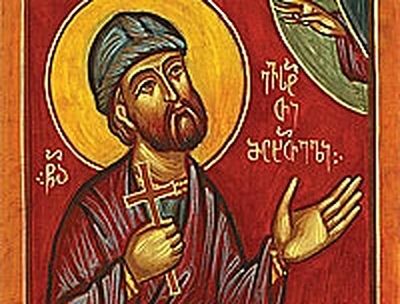 Saint Evstati, a Persian by descent, was a fire-worshipper named Gvirobandak prior to his baptism into the Christian Faith. When he arrived in Georgia and settled in Mtskheta, he was deeply drawn to the morals and traditions of the Georgian people, and he resolved to convert to Christianity. 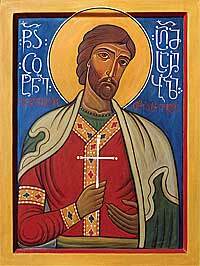 On February 10, 1963, the centennial of St. Ekvtime’s birth, his body was reburied at the Didube Pantheon in Tbilisi. When his grave was uncovered, it was revealed that not only his body, but even his clothing and footwear had remained incorrupt. St. Ekvtime’s relics were moved once again, to the Pantheon at the Church of St. Davit of Gareji on Mtatsminda, where they remain today.